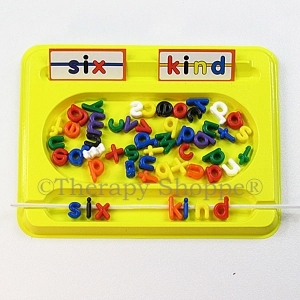 A fun new twist on a favorite playset! 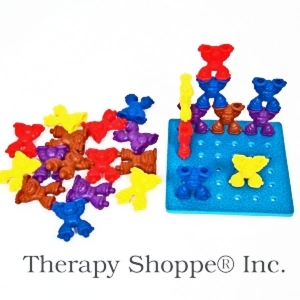 This neat pegboard playset features jumbo-sized, tactile pegs shaped like monkeys! 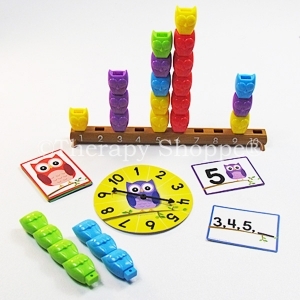 Kids have a blast seeing how high they can stack ‘em and how many ways they can configure them! 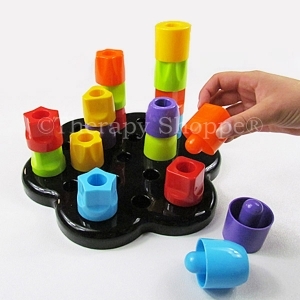 Count ‘em, sort ‘em – even use them like “pop beads!” This awesome hands-on teaching tool is just great for eye-hand coordination, finger strength, and fine motor skills control. 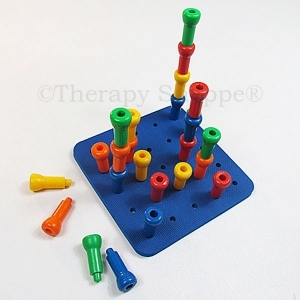 Might Monkeys Pegboard Play Set includes: 25 sturdy “Mighty Monkey” pegs in 5 bright colors, and a 36-hole rubber peg board. 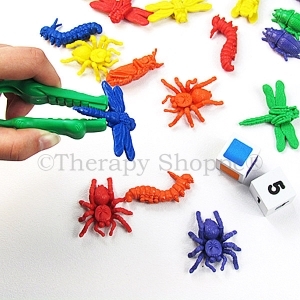 You’ll love how big, stable, and easy-to-grasp these tactile monkey pegs are. 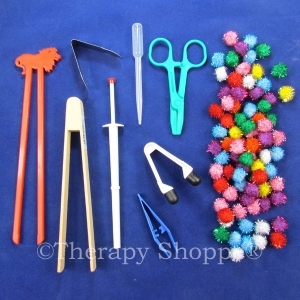 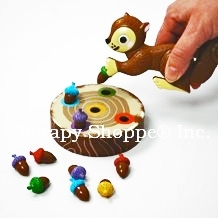 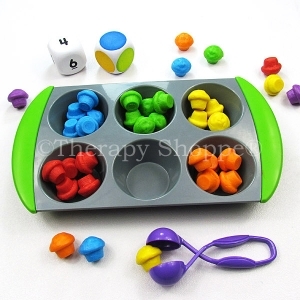 This unique fine motor play set is a great learning educational toy for classrooms, homeschooling, and therapy.